If you have the title of “Communications Director”, 67% of you want to focus mainly on Brand Awareness. If you have the title of “Development Director”, 85% of you want to focus mainly on Retaining Current Donors. And if you have the title of “Executive Director”, you’re somewhere in the middle. So, who deserves the final say? Where should your attention actually be focused? 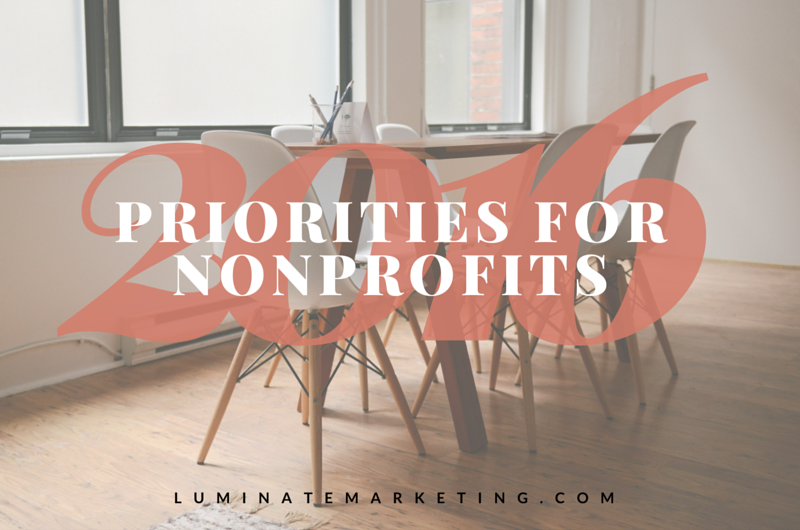 First, we at Luminate believe your organization should begin by evaluating what your organization’s current goal exists to be. Is it fundraising for a cause? Is it reaching a certain unique and new demographic? What is the main message your organization upholds and pursues? Once you have established this answer, try a SWOT analysis (strengths, weaknesses, opportunities, and threats), discovering what weaknesses are in your organization. Are you having trouble reaching a certain geographical area? Are funds low? Are donors slowly fading? And then, you roll into solutions. Is your company in need of a rebrand in order to better resonate with a particular audience? Is your organization’s DNA seen clearly through your advertising platforms (social media, print, web, etc.)? Are you listening to your donors effectively and hearing their desires? Is your messaging reaching the right audiences? As we step into second half of the year, we encourage you to have a firm-footing on WHO you are are, and WHERE you want go this year. There is always a question to be asked, and Luminate encourages you to ask the needed questions before establishing your plans for the remainder of the year. Work together, and come together as a team to take steps forward!